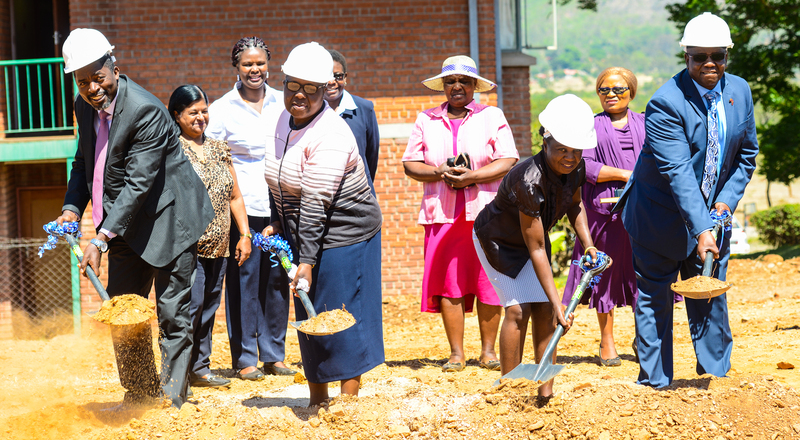 On the 14th of November 2018, members of staff, students and well- wishers from the Mutare community converged at the AU main campus for a dedication and ground breaking ceremony for the construction of the new women’s hall of residence. The project came about through the incredible contribution of the Highland Park United Methodist Conference spear headed by Mrs. Lisa Tichenor who raised a total of 2million dollars for the construction of the residence and a new student union building for the students of Africa University. The impetus behind these projects in particular originates from a desire to enhance the vision of the institution to reach world class status and to also provide the best possible student experience for learners. “Africa University is God’s project and he remains faithful to us as a university through blessing us with friends and partners like Highland Park.” He edified these sentiments with a reading from the scriptures of Psalms 127:1 saying, “Except the Lord build the house, they labour in vain that build it”. Our works are not in vain as all we do is possible only through God and constant faith in his word”. Also dedicated on the day were two vehicles, a Nissan Tiida Latio and a Nissan Sunny for the day to day operations within the university donated by Dr Ken Yamada of South Korea, who has left an extensive and rich legacy of giving to Africa University and numerous causes across the world. A number of buildings and structures across the university campus are a result of his contributions and tireless work including the Information and Communication Technology Building, the Agriculture building, the Jokomo Yamada Library, which is co- named in his honour, as well as the Africa University Maputo Satellite Campus. It is through cross- cultural, cross- sectoral and strategic partnerships that Africa University continues to thrive and remains a priority interest area for giving campaigns due to its history of transparent, accountable and visionary leaders who stay true to the promise and dream of investing in Africa’s future.